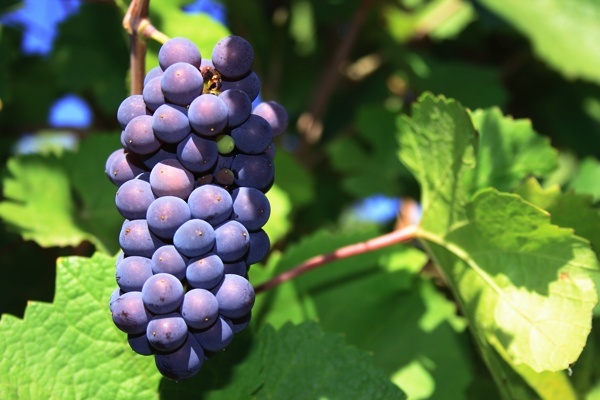 This is our second pod cast featuring Pinot Noir. While we focused on Sonoma County Pinot Noir on the last show, we opted to show a little more range this time. This show features Pinot Noirs from New Zealand, France and Mendocino County as well as several wines from Sonoma County. Sorry Oregon, we'll devote a podcast to the wonderful Pinot Noirs you produce in an upcoming show. The different aromas, taste and styles that we experienced during the tasting made it easy to see why Pinot Noir is such a hot ticket wine. In fact, this was the first tasting we've conducted where there was no leftover wine. Some of the topics covered in this show are old world wines vs new world wines, the different colors of Pinot Noir and the Sideways phenomenon. Most of the wines we featured are readily available at your local retail outlets, though some may require more diligence to acquire. The average price for the wines was $26. Did we find a knock your socks off $15 Pinot Noir? Does such a wine exist? Take a listen to find out the answers to these questions and more. We used our tasting panel format to evaluate the wines. First tasting without food and then trying them with food and cheeses. As expected the Pinots showed their affinity for food. If you're invited to a dinner party and you don't know what's on menu, but you're in charge of the wine, Pinot Noir is an excellent default red wine to rely on. Bill kept the pizzas coming and the kids had a wonderful time helping him make them. A good time was had by everyone in attendance. Kick back and pull a cork on bottle of Pinot Noir and join us as we share what we learned about "The Heartbreak Grape".